DIVIDENDS VS. CAPITAL GAINS: WHICH WAY TO INVEST? There has long been a debate in the investment world about whether it is better to invest in dividend paying stocks or mostly disregard dividends and invest for capital gains. For those who aren’t familiar with the term, capital gains are the increase in a stock’s value between when it is purchased and when it is sold. Buy a stock at $10 and sell it at $15 and you have a $5 capital gain. While there are arguments for and against dividend investing, the focus today is the tax perspective. From a tax perspective, which method of investing should you choose? For this discussion, we are assuming the stocks are held in a taxable brokerage account, and not in a qualified account such as a 401(k), IRA, Roth IRA, TSP, 403(b), ORP, etc. Also, this article assumes that all dividends are qualifying dividends. 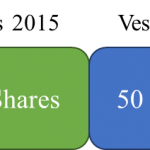 Dividends typically refers to the payment a person who owns a share of stock receives. It can be compared to receiving interest on a bank account or, more accurately, like the profits a person takes out of a business. Since shares of stock are really just ownership in a company, dividends are a small portion of the profit the company made. If you love to go to Whole Foods and think it is a great company, you can buy shares of stock and own a little piece of the business. Then every three months Whole Foods will send you a dividend check with your portion of the profit the company is distributing to its owners. But not all companies pay dividends. Dividends are taxed to the shareholder when they are received. Luckily, the Federal government has decided that dividends should receive special tax treatment. Why the government has given dividends special tax treatment is beyond the scope of this discussion, but it’s an interesting topic for financial nerds like myself. The table below shows how dividends are taxed depending on what tax bracket a person is in. 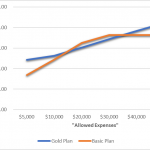 Notice that dividends are always taxed less that ordinary income. For taxpayers who are in the 10% or 15% tax bracket, dividends are not taxed at all! The table ignores the effect of the Net Investment Income Tax. Capital gains on an investment can also receive special tax treatment. The first thing to know is the difference in short-term capital gains (STCG) and long-term capital gains (LTCG). STCG are gains a person receives when selling an investment held less than a year. LTCG are gains from selling an investment held more than one year. Why the distinction? LTCG qualify for the dividend income brackets in the table above while STCG qualify for the regular income brackets above. Simply put, holding an investment for one year before selling it for a gain allows you to pay less taxes. For example, suppose you buy $10,000 worth of Company ABC stock. In 11 months, it is worth $20,000 and you sell it. If you are in the 25% tax bracket you will pay $2,500 in taxes on the $10,000 you made. Now suppose instead of selling the stock, you talked to your tax advisor and he recommended waiting for another month so that the gain was a LTCG. If the stock was still worth $20,000 you would now only owe $1,500. You just saved $1,000 in taxes just by knowing a little tax law and waiting one month. Of course, there is always a chance the stock will go down (or up) in price during the month you are waiting. So, Which is it, Capital Gains or Qualified Dividends? From a tax perspective, this is a no-brainer decision – you invest for capital gains. The reason capital gains are preferable is you control when you sell the investment and realize the gain. When investing for dividends, you receive taxable income on a regular basis. It is always better to control when you receive taxable income and investing for capital gains allows you to do exactly that. We will talk about some of these topics in future blog posts. This discussion is solely from a tax perspective. Occasionally the argument will be made that dividend paying stocks outperform stocks that don’t pay dividends. 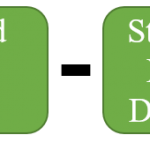 It is worth remembering that research from Nobel prize winner Eugene Fama has shown that historically small company stocks have outperformed large company stocks; small company stocks typically pay either no dividend or a small dividend. That tidbit is just food for thought and shouldn’t be taken as investment advice. Also, this entire tax discussion is completely null and void when money is invested in retirement accounts, like 401(k)s, IRAs, Roth IRAs, TSP, ORP, etc. Those types of retirement accounts have special tax features that make the tax consequences of capital gains versus dividends irrelevant. 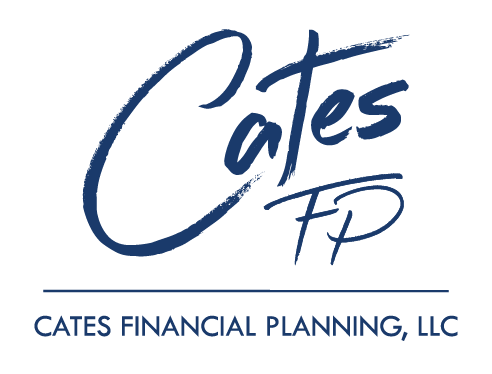 As always, email me at cary@catesfp.com or call 940.368.0909 if you have any questions about how tax planning and advice could save you money.